Luxury expedition cruise specialist Silversea is introducing the newest member of its fleet, the 100-guest Silver Galapagos, in September 2013. The stylish all-suite vessel - the first of its kind in the Galápagos Islands - is available for small group bookings or full ship charter and is ideal for companies seeking a truly aspirational corporate and incentive experience for their staff or clients. Silversea's year-round schedule of 7-day expedition voyages aboard Silver Galapagos will take in the highlights of the untouched Galápagos Islands, featuring two itineraries round-trip from Baltra Island. The Western Itinerary will trace a path across the western, southern and eastern islands, including Santiago, Bartolomé, Isabela, Fernandina, Floreana, San Cristóbal and Santa Cruz. The North Central itinerary will take in the north-east, central and south-east islands of Santa Cruz, Genovesa, Seymour Norte, San Cristóbal, Española and Plazas Sur. Silversea's all-inclusive fares are ideal for organisers wishing to know all costs upfront. Once onboard Silver Galapagos, groups will enjoy full-scale exploring from an enclave of luxury at sea that includes spacious, ocean-view accommodation; sumptuous gourmet cuisine; the personalised service of a butler; fascinating shore excursions; and a generous selection of all-inclusive shipboard amenities, such as complimentary beverages, wines and spirits served throughout the ship, and stocked in-suite beverage cabinet. For full ship charters, a range of meeting facilities including the main lounge are available onboard and Silversea's corporate and incentive experts will work with organisers to personalise special events and experiences throughout the voyage. Silver Galapagos' schedule offers groups the life-enriching chance to discover a remote paradise that has long been regarded as a natural laboratory of evolution. On complimentary expeditions ashore guided by an experienced expedition team (certified by the Galápagos National Park Service), guests may experience up-close encounters with an abundance of wildlife that includes sun-basking land iguanas, giant tortoises, blue- and red-footed boobies, colourful marine iguanas, sea lions, penguins and Darwin's famous finches. Detailed information and complete itineraries for Silver Galapagos are now available at www.silversea.com/expeditions. Silversea Cruises, which is chaired by Manfredi Lefebvre d'Ovidio, is recognised as an innovator in the luxury cruise line industry, offering guests large-ship amenities aboard its intimate, all-suite vessels: Silver Cloud, Silver Wind, Silver Shadow, Silver Whisper and Silver Spirit - all designed to offer an atmosphere of conviviality and casual elegance. With the inclusion of the expedition ships Silver Explorer and Silver Galapagos (debuting late 2013), Silversea Cruises' itineraries encompass all seven continents and feature worldwide luxury cruises to both polar regions and over 500 fascinating destinations in between. In Asia Pacific, Silversea has been voted "Best Luxury Small Ship Cruise Line" by Australia's Luxury Travel & Style Magazine every consecutive year from 2006 to 2012 and Silver Whisper or Silver Shadow have also won the Gold Award as Best Small Cruise Ship in each of those years. Silversea has won similar awards from readers of Australia's Cruise Passenger Magazine. In the US, Silversea has been voted "World's Best" by the readers of Condé Nast Traveler (nine times) and Travel + Leisure (seven times), and awarded "Best Cruise Line for Luxury Small Ships" by Luxury Travel Advisor (2011). 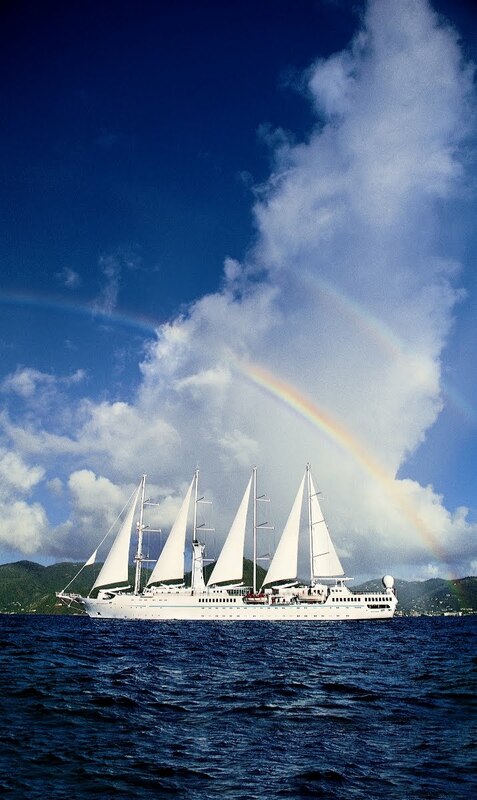 Travel the World today announced a new addition to its luxury and cruising portfolio, an exciting small ship cruising product, "Island Escape Cruises". Island Escape Cruises offers intimate cruises around New Zealand and Vanuatu onboard the MV Island Passage. 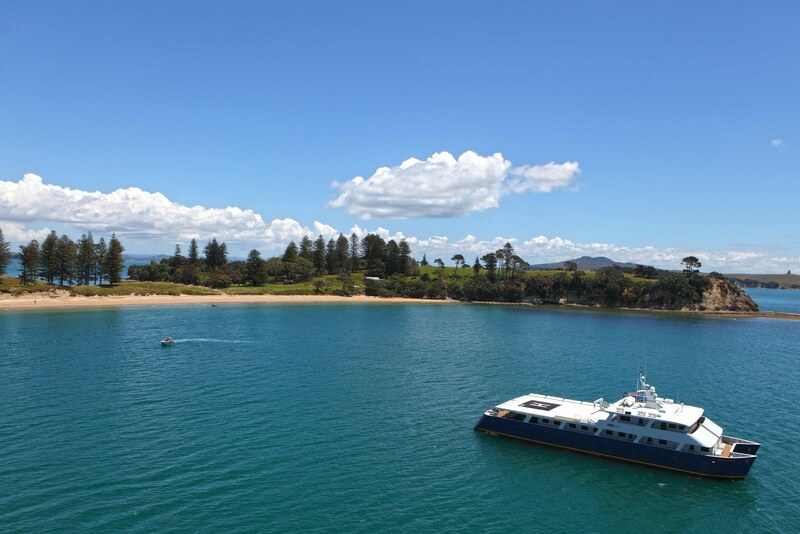 This luxury motor yacht is the ideal escape from a busy lifestyle and accommodates a total of 24 passengers in 12 spacious, individually designed cabins, featuring rich timber panelling and handmade New Zealand Kauri furniture. The Island Passage also carries a purpose-built landing craft, three large tenders, sea kayaks, a five-seat helicopter, fishing and snorkel equipment to ensure that guests are equipped for adventure, exploring ashore or simply opportunities to relax and enjoy the scenery. Onboard, guests can enjoy the best of New Zealand's cuisine; fresh local seafood delicacies, the best organic lamb, Santo beef, award-winning cheeses and fruit and vegetables selected from local markets, all presented by talented local chefs. The wine cellar offers award-winning Australian and New Zealand wines, with new releases specially selected from boutique vineyards. For golf enthusiasts, Heli-Golf cruises are available, giving guests the chance to play on some of the most spectacular golf courses in New Zealand, including Kauri Cliffs, Bay of Islands and Titirangi golf courses. 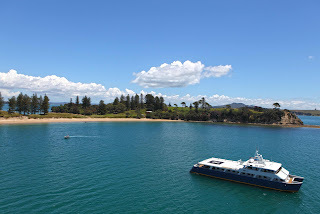 Itineraries include 5 or 6 night cruises around the Bay of Islands, a 6 night cruise taking in the Islands of Auckland, 6 or 13 night cruises around Vanuatu or a 6 night cruise around Marlborough Sounds. 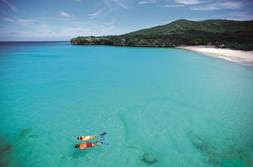 Bay of Island cruises start from $1,995 per person twin share and include accommodation onboard, shore excursions as per itinerary, use of tenders, kayaks, snorkels, fishing gear and all meals onboard. 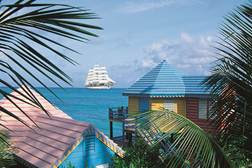 For further information or bookings, please contact Travel the World on 1300 766 566 or visit www.traveltheworld.com.au. For media enquiries, please contact Nicole Craig at BLACK Communications on 02 8399 3005 or 0405 105 676, or email nicole@blackcommunications.com.au.